As some of you will know there is a new social media app in town called "Vero" the App that claims to have real relations ships. 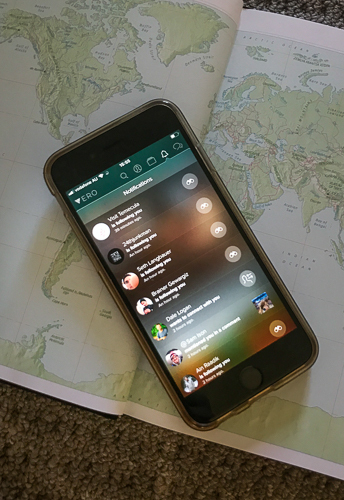 For ages a number of photographers and creatives have bene looking for a new platform beside Instagram and Facebook. 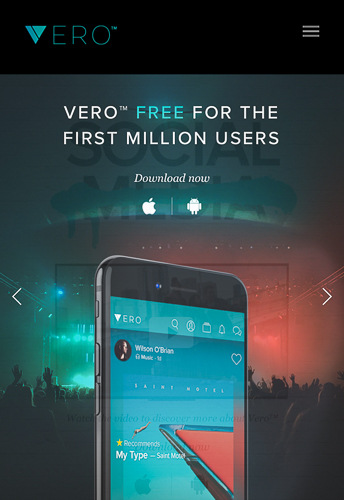 Vero stared up in 2015 and has had a mass boost in the past few weeks with it topping the most downloaded app on iTunes. Why do photographers like it? The difference between this app and the likes of Facebook and Instagram is that it allows you to share your images without having to crop them in various aspect rations and sizes. On another note it uses a darker background which does not assault your eyes when you use the app making images a hell of a lot more appealing. You also have the ability to upload high resolution files that can be zoomed into and if you turn your phone to landscape mode you get a full image showing you more details than ever before. Everything listed above surely has to be a Pro. Your feed is in chronological order. The App is plagued with bugs and the servers cannot keep up with the load. The terms and conditions are vague and most ambiguous but then again so are Facebook and Instagram's and lets not forget what Mark Zuckerberg has done in the past. When the app eventually does work you often cannot see who has liked or requested to connect with you. Difficulty when it comes to deleting your account. Do you join Vero or wait and see? For me it is still early days and time will tell. If the app does take off and if the dust does settle around Ayman Hariri's workplace allegations, the App could actually be what a lot of us have been searching for. The next big question is will non creatives join and will it appeal to the masses? Will people be willing to pay for the app? I do not have all the answer but for now lets wait and see. Be wary of what you upload and if it does not suit you delete your account. This could be exactly like the other apps that have come about over the years claiming to be the next best thing and it too could die off in a matter of month.